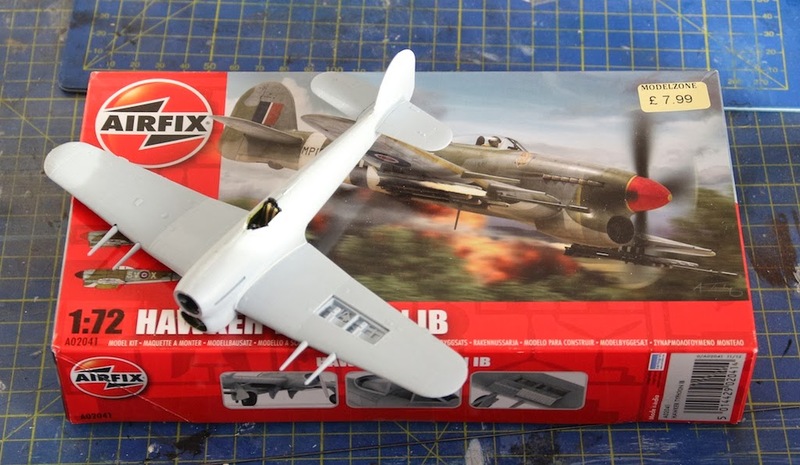 Before I start either of these, I am making the new tooling Airfix Hawker Typhoon 1B. This is typical of the latest Airfix kits. It is very nicely moulded with very clear instructions and a nice couple of marking choices. As you can see, I have got the major parts together. The cockpit is very well detailed but you cannot see much of it once the fuselage is put together. I have made some seat belts from painted masking tape as these can be seen. 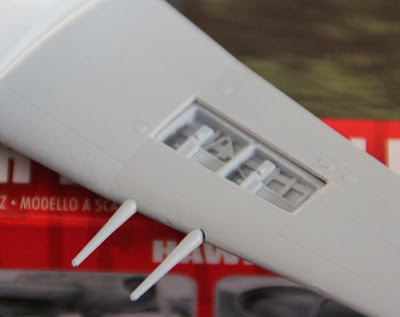 The joins on the fuselage and the wings needed a tiny run of Vallejo acrylic filler. One great extra provided by Airfix are both gun bays. You have to cut out the panel but this was easy with a sharp scalpel. You also get the folded doors to fix on top of the wing to complete the effect. I have only opened up one bay. When painted, this will look really good. I am going to try and get this finished before the end of the year to give me a boost for my resolution. I have the Typhoon kit myself but have only just opened to box to check the contents. It is a very nice kit and Airfix have thought it out. Mind you, all of their new toolings in this scale are very good now, got a few sitting waiting to be done. I look forwards to seeing it finished. The only criticism I have is that the sprue attachment points are quite large and close up to the. Parts making it difficult to remove parts cleanly, even with a sprue cutter.